One of the things I had planned to do upon arriving in South Korea was to spend my first month travelling around the country with some friends. We wanted to see as much of South Korea as we could in this time, and what better way to do that than by car? 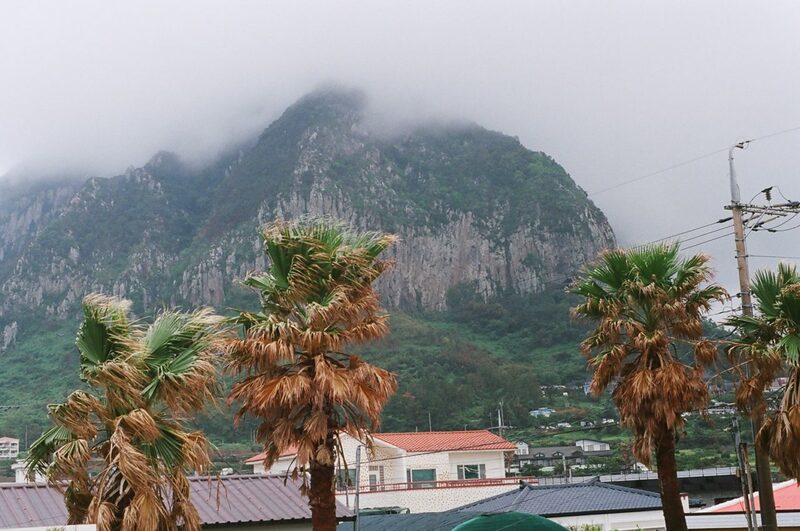 The first leg of the trip was a short tour of Jeju Island, so we met up in Jeju City, hired a car and went on our way. At this point I had only been in Jeju for a few days, and those were mainly spent recovering from jet-lag and in exploring the city centre. So I was excited to finally get to see the rest of what the island had to offer. 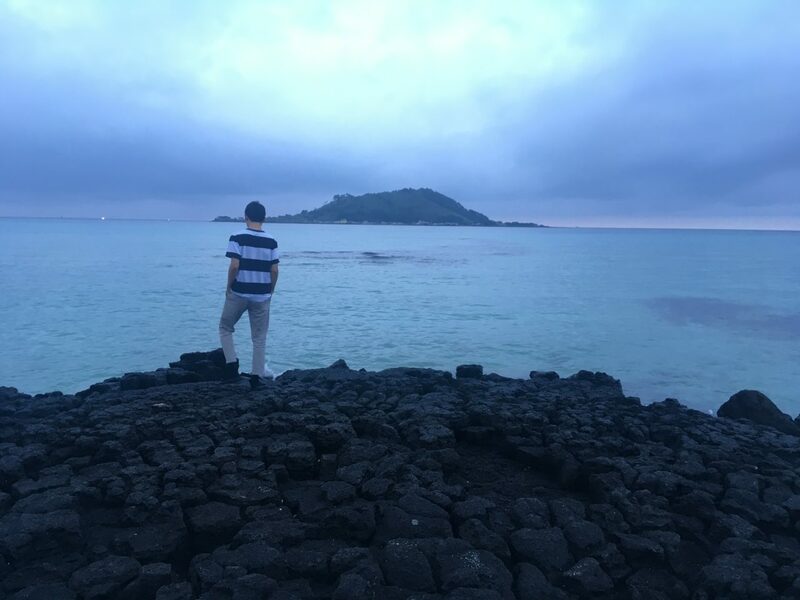 I was excited to start the trip as although Jeju is relatively small, there’s so much packed in to see and do. First stop before heading out of Jeju City was the Nexon Computer Museum – a museum dedicated to the history of computers and video games. It was fascinating to see some of the earliest models of computers, including one of Apple’s first computers. There were lots of opportunities to interact with exhibits, mainly the games consoles, and my personal favourite was to trying out VR. Overall a great museum you could spend all day in but we had a tight schedule to stick to, so back on the road again! We made our way west out of the city, taking the coastal road towards Hyeopjae Beach. The sun had already set by this point, so the beach was quite quiet and made for a peaceful rest stop while we tried to figure out our sleeping arrangements for the night. We decided on a Guesthouse – basically a hostel with shared dorms and basic amenities, usually including breakfast. Guesthouses are a blessing if you’re travelling around South Korea, as they’re cheap and have the basic amenities for a comfortable stay. After finding our Guesthouse in the pitch black of the previous night, we woke to an amazing view of Sanbang Mountain, jutting sharply out of the ground and shrouded in clouds. We had breakfast while waiting for some heavy rain to clear and then headed towards the mountain to have a look at Sanbangsa Temple, which is set into the side of the mountain. The name Sanbangsan literally means, ‘cave inside a mountain’, and true to its name, climbing the steep stairs behind the Temple lead us to a cave, which gave a spectacular panoramic of the beach and seaside below. Luckily, the cave offers its own refreshments, as water drips from the ceiling into a pool below which visitors can drink from. Anyway, after checking out the other waterfalls along the rivers’ descent, we headed into Seogwipo to find some lunch. South Korea is famous for its Traditional Markets, which are a great place to try the local cuisine and get some great fresh produce for cheap. With this in mind, we went to Seogwipo Olle Market. We ate tteokbokki (spicy rice cake) with gimbap (a kind of seaweed rice roll), and then tried jjinbang and hotteok while strolling around the market taking in the sights and smells. After filling up, we continued out towards the east of the island, choosing to pitch our tent at Pyoseon beach. Luckily the weather cleared up throughout the course of the day, making for a clear, warm evening to relax by the beach and have a blast at some noraebang (karaoke). 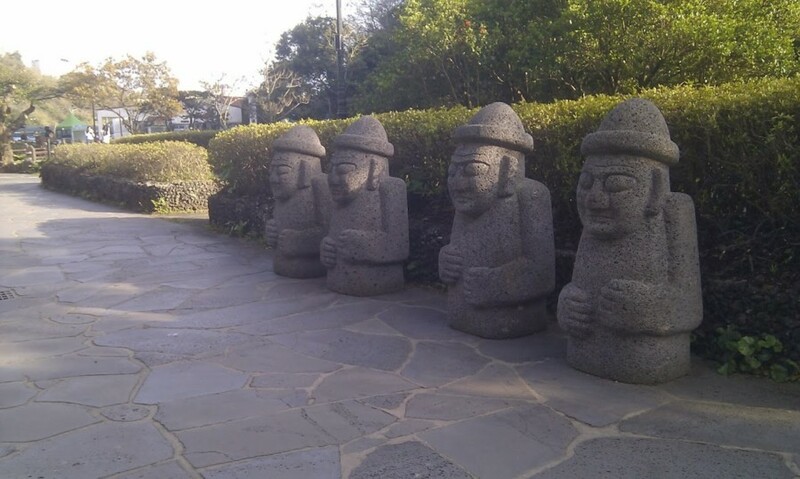 This was our last day of exploring Jeju before we extended our road trip over to the mainland. 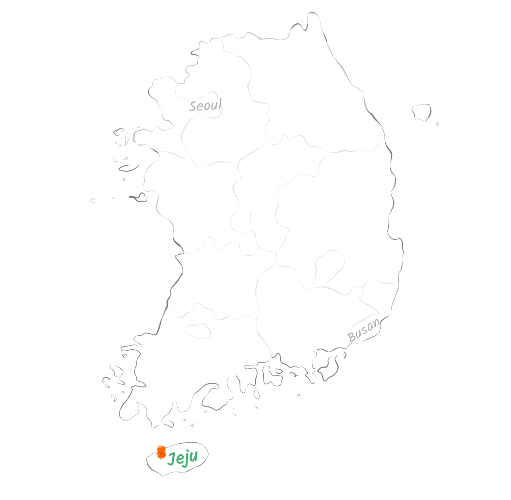 We continued east along the coast on our way back to Jeju City, making some stops along the way. First up was Bijarim Forest, a welcome stop with the trees providing some much needed shade from the heat of the day. This forest is the largest Nutmeg Tree forest in the world and contains an 800-year-old tree in the middle of it! After a pleasant stroll, we went to Manjanggul Cave – a huge underground tunnel carved out by lava. It’s about a 1km walk along this ‘lava tube’, where you can see a host of interesting features and rock formations caused by lava flowing through the cave millions of years ago. We were hungry after all that walking, so headed toward Hamdeok Beach and stopped to eat some mul milmyeon. These cold noodles are served in an icy broth, making it a perfect refreshing meal on a hot day. After eating, we spent the rest of the afternoon at the beach, relaxing and swimming in the clear waters. 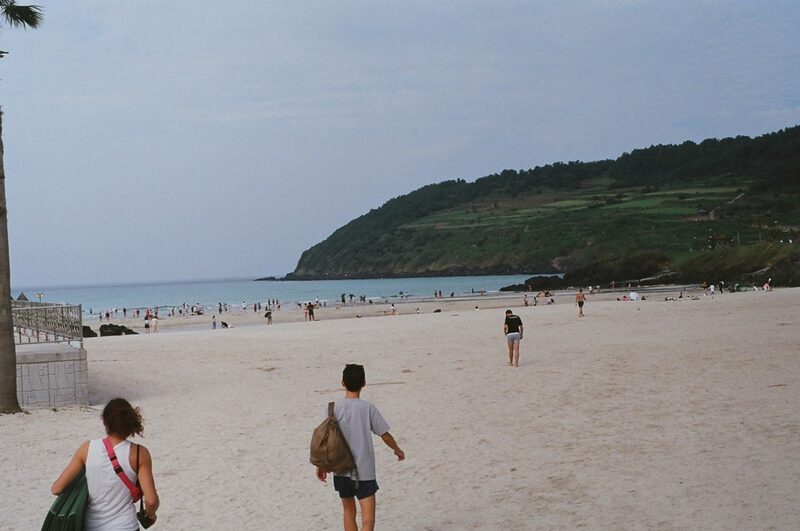 Hamdeok is a beautiful beach, probably the most popular as well, and one of my favourite spots on Jeju. The waters are crystal clear and the headland keeps it relatively calm, making a perfect place to cool off on a warm day. There are plenty of coffee and ice cream shops along the seafront for refreshments, plus a beautiful walking trail going up and over the headland. This was our last stop before heading back to Jeju City to get ready for the next leg of the road trip – the mainland.